‘Absolutely extraordinary’ film a festival hit. The Bagpipe Maker’s Baby – Dead Bod Films. 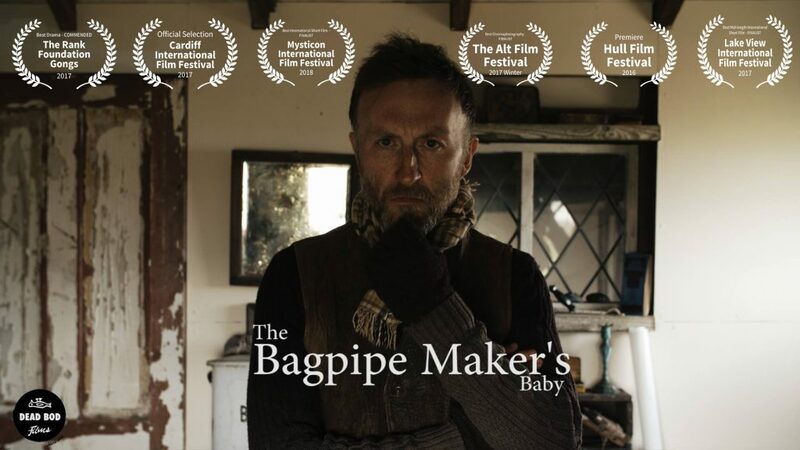 Hull-based Dead Bod Films’ The Bagpipe Maker’s Baby has won Best Short Film at the Welsh SeeMor Film Festival. Starring East Yorkshire actors, Richard Avery, Annie Kirkman and Gordon Meredith, the 30-minute short was directed by Chris Hopkin and written and produced by Julian Woodford. Backed by Film Hub Wales and BFI Audience Network, among others, the annual SeeMor Film Festival is held over two days in Holyhead, Anglesey, and attracts hundreds of UK and international entrants. Crowdfunded The Bagpipe Maker’s Baby was selected as one of three finalists in the Fiction category, which included the fully financed French production The Horizon Line by Paris-based Topshot Films. Dead Bod Films is part of Humber Film Community and based on the 3rd Floor above Kardomah 94 in central Hull. Be the first to comment on "‘Absolutely extraordinary’ film a festival hit."